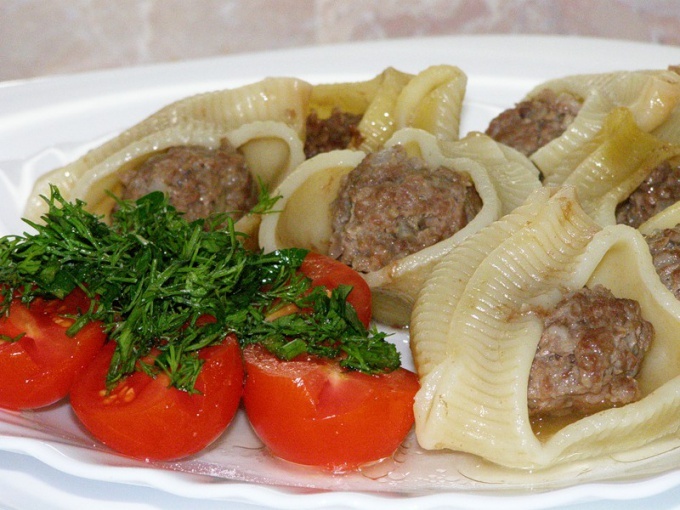 What could be better than stuffed pasta? Simple and fast method of cooking. - shell (large) — 20 PCs. - nutmeg — 1/8 tsp. Boil in salted water shells. Press all the excess water from the spinach. With the help of a blender mix: garlic, cheese, feta cheese, parsley, nutmeg and squeezed spinach. Butter to grease the bowl multivarki. The resulting mass to fill the cooked shells. Tightly to each other to put them in a Cup multivarki. Pour over the cream. To put on the "Baking" and cook for twenty minutes. Grate cheese on fine grater. After twenty minutes, sprinkle the shells with grated cheese and cook for another seven minutes. Pasta is one of the most popular dishes not only in Italy but also in many other countries. However, this dish is also one of the easiest to prepare. To knead dough for pasta requires only flour, eggs, water and salt. 1. Real Italian pasta is made from flour of hard milling and spring water. Often the dough is cooked, if there is a food processor and a special machine for rolling dough. 2. If used flour soft milling, instead of the water to the flour add eggs (one egg per hundred grams of flour). 3. In any case, don't forget to sift the flour, it is very important that she was perfectly clean. The screening will also contribute to the saturation of the flour with oxygen. 4. Knead the dough for the pasta should be about 15 minutes, you will need to frequently fold in half and stretch the dough, thanks to this it produces gluten. However, it should be remembered that too long to knead the dough also should not, on the contrary it can destroy the gluten. 5. After you finish to knead the dough, put it in a cool place for 30 minutes so it will become more elastic and easier to roll out. 6. If your house is a special machine for rolling dough, and you are going to use the usual rolling pin, flour the surface on which you work. It is advisable to roll out the dough in small pieces, so it will be much easier. Roll out the dough you need from yourself, while constantly turning the reservoir. Some times it is desirable to fold the dough and again roll out. The ideal thickness of the dough for the pasta should be about two millimeters. 7. Cut pasta as you can in the machine for cutting dough, as well as their own conventional knife, which must first dip it in flour or a special wheel for cutting pizzas and pastas. Before you slice the dough, be sure to sprinkle it with flour. Pre-cut strips leave for a while so they can dry. 8. If you do not wish to cook all the pasta, you can dry even in a conventional dryer. Pasta needs to dry a day. In a dry, tightly sealed container, this paste can be stored for more than a month. You can also freeze the pasta. First, lay it on the Board in the freezer, and when it will freeze slightly, you can put it in a bag and store for up to six months. 9. 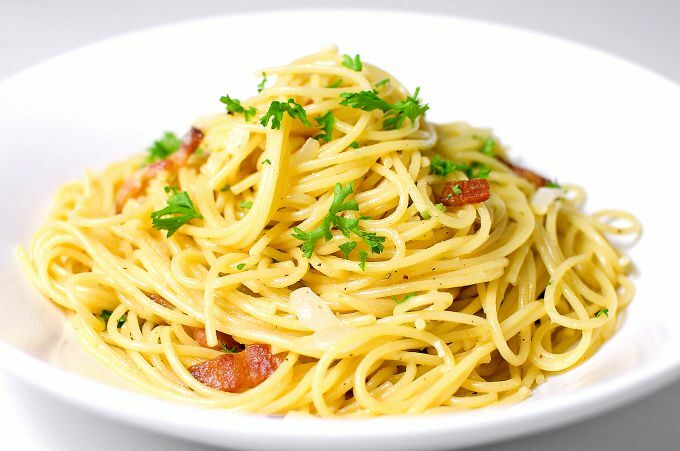 To properly cook pasta, you must remember that it is necessary to cook in large quantity of water. One hundred grams of pasta you need to cook in one liter of water. Pasta need to drop just in boiling and well salted water. So pasta will not stick together, add water during cooking, a little vegetable oil. And remember that the average cooking time of the pasta for about 10 minutes, the pasta should be slightly undercooked. You can fill your pasta with any sauce that you like.